Ground steak with mushrooms, onions, brussels, and mashed potatoes. – Hurried Home Chef! 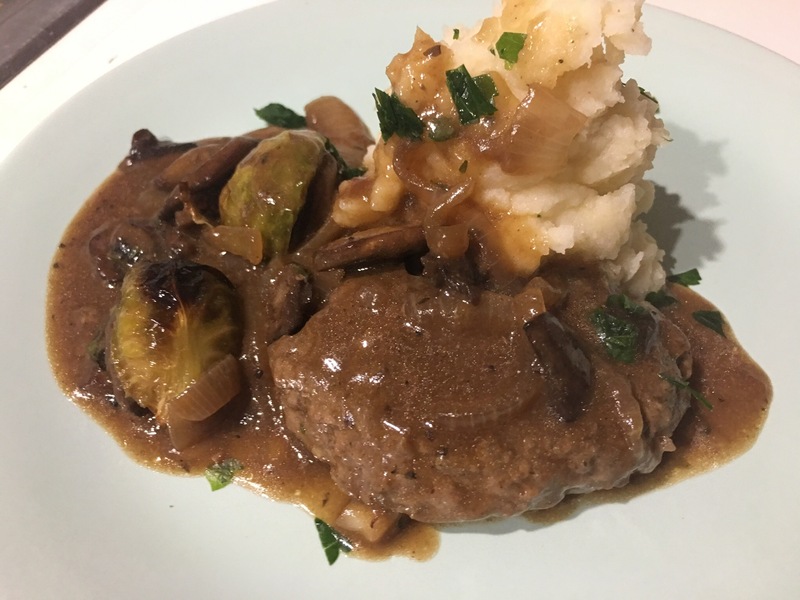 Ground steak with mushrooms, onions, brussels, and mashed potatoes. 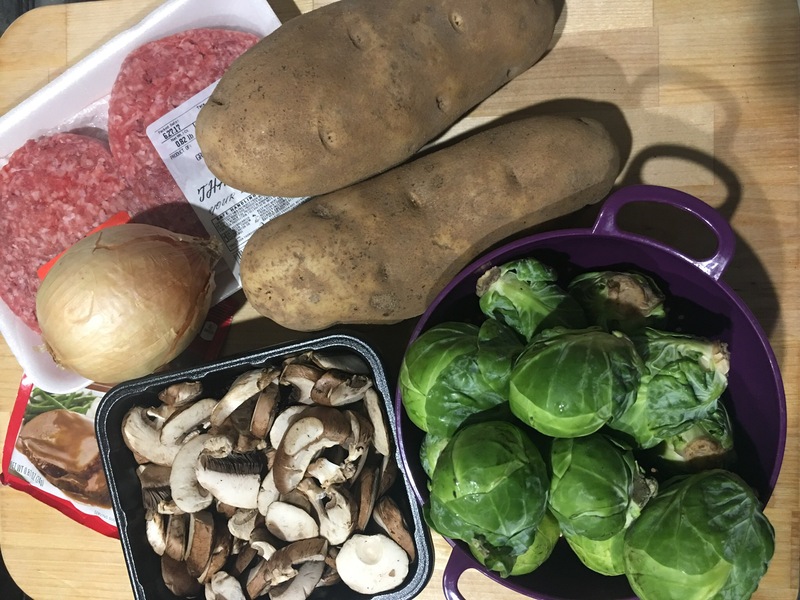 Let’s make something quick, I got a few hamburger patties, brussel sprouts, potatoes, mushrooms and an onion. Preheat the oven to 400. 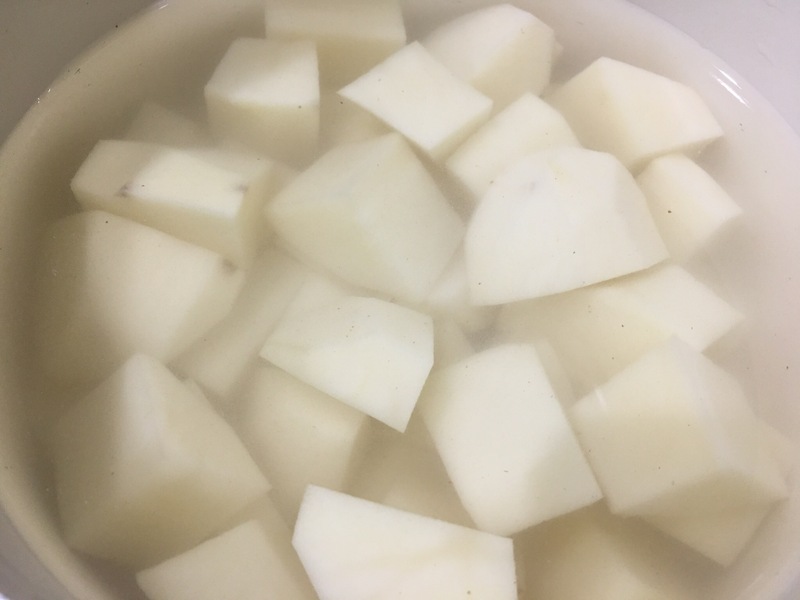 Before you even put groceries away, peel and dice potatoes, fairly small and add water, just enough to cover the top of them. Place on high, cover with lid until they boil. Add a little salt or a chicken cube. 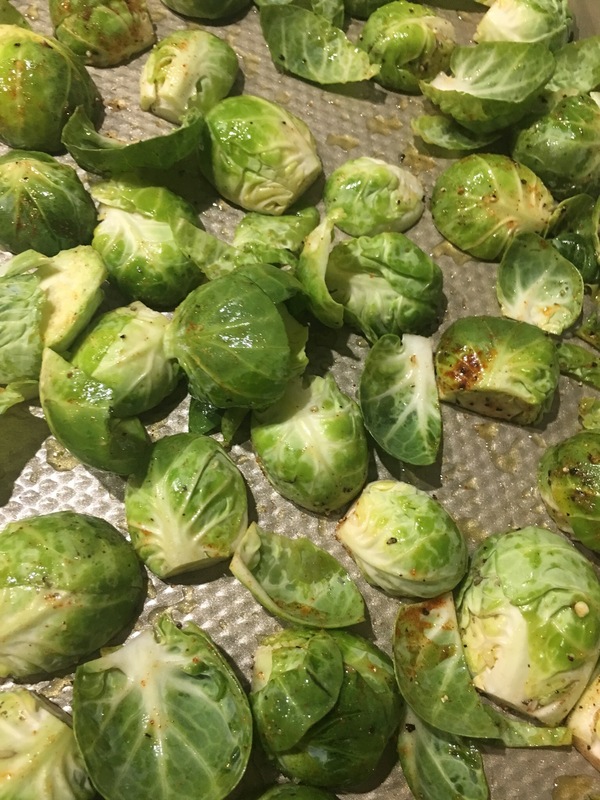 Then I halved the brussels, seasoned with EVOO, salt and pepper, then into the oven. 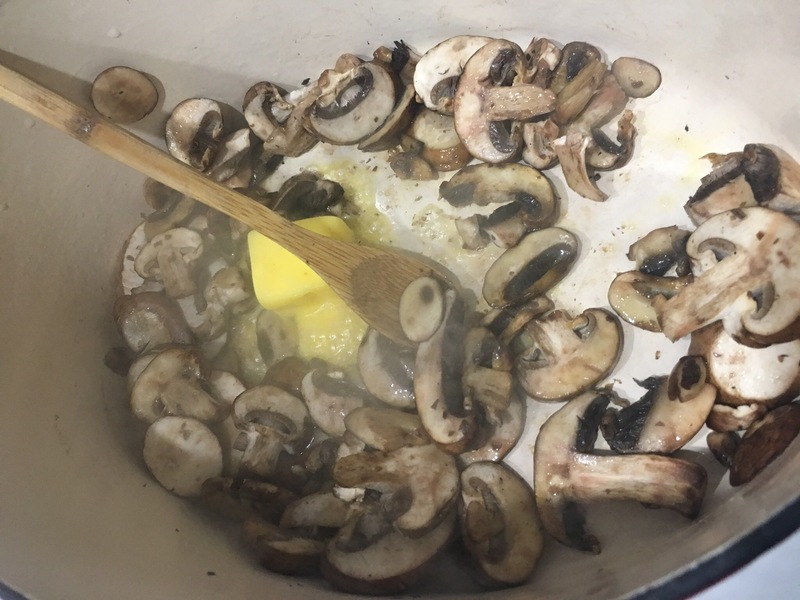 In a dutch oven, or large skillet, sauté the mushrooms with a little butter. NO salt yet. Wait until they get a little crispy, then add salt to season. 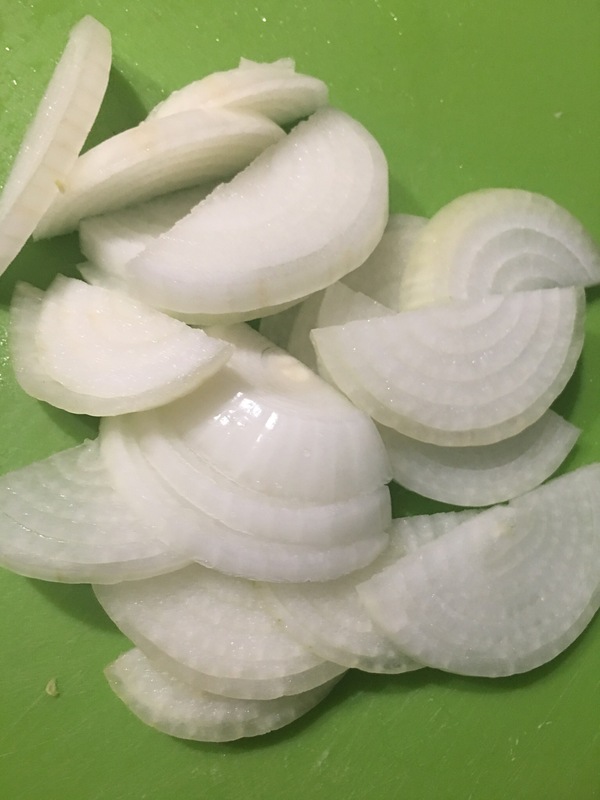 Remove with a slotted spoon, to leave the butter in the pot, add the raw onions. Sauté them on medium high heat, do not let them burn, use a little beef stock if they look like they are sticking. 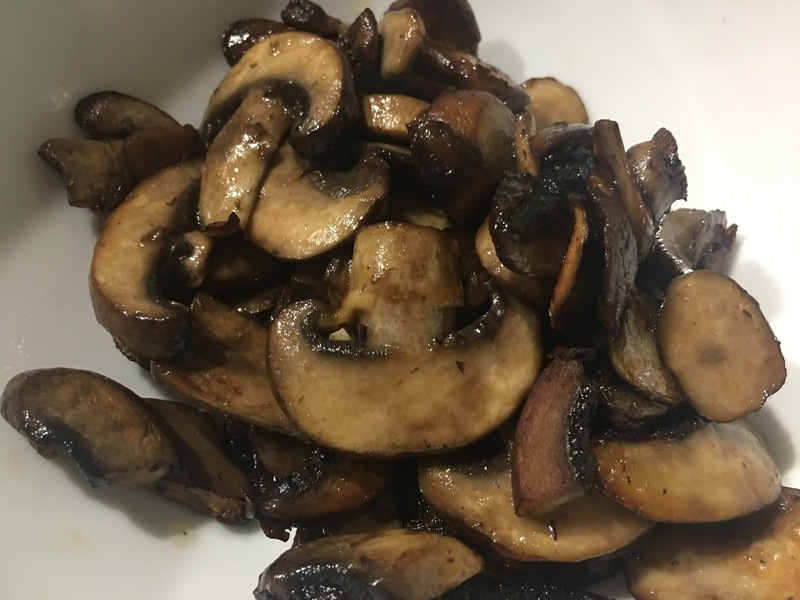 Once they are soft and caramilized, remove them and add to the bowl with the mushrooms. 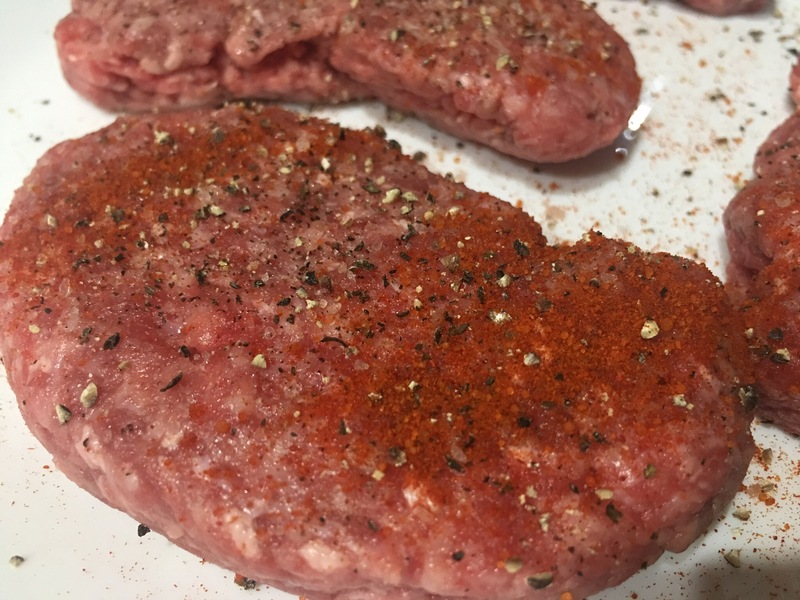 I used hamburger patties that I halved and seasoned with salt, pepper, and cayenne. Add a little oil and sauté in the same pot. Once you get a good crust on the outside, turn heat down to medium and let it cook thru a bit. Add some beef stock if needed. I then removed the meat and placed in bowl with the mushrooms and onions. Now I made the sauce. 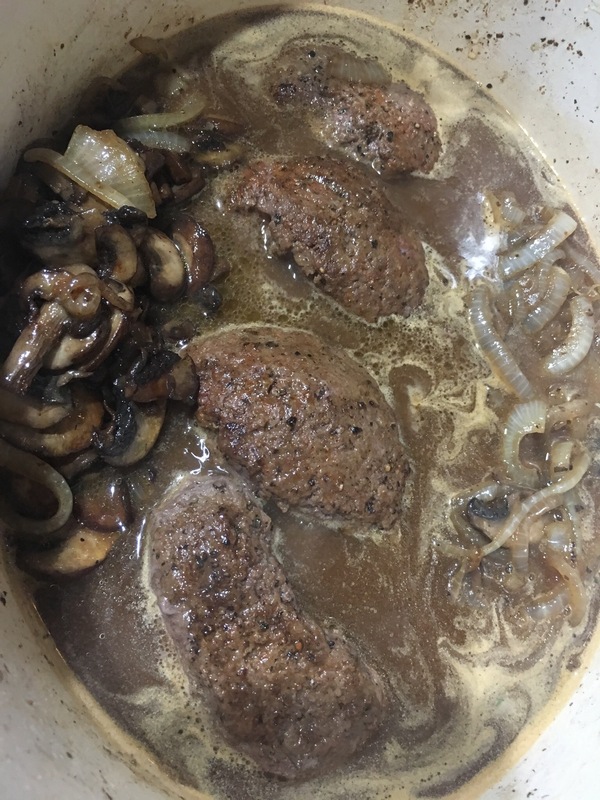 You can use a brown gravy mix from the store, or make a rue, 2 tbsp flour and butter–cook and add 2 cups of beef stock, cook down and thicken. Then add it all back in and let it marry together. I added some thyme, parsley and a little ground garlic. I also took out the brussel sprouts from the oven and added them in here too. The potatoes were done, then I drained the water out, added some butter, half/half, parsley, salt, pepper, and cayenne. Plate it up and eat. Give it a try, you can also use chicken instead.